The Veterans Administration makes finding VA claims information relatively easy. You can consult with a VA representative over the phone, at a local facility, or online. Other factors are taken into consideration when determining the amount of coverage available to veterans. There are many different scenarios when a veteran may require VA claims information assistance. The VA does not furnish health care to every veteran free of charge. 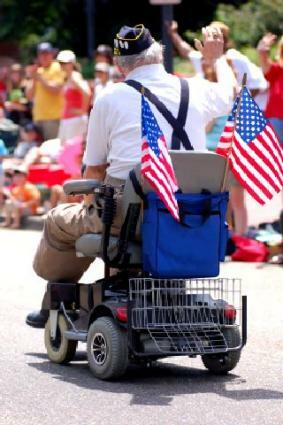 There are many veterans who utilize their VA medical benefits as an augment to their health insurance. The VA does bill private insurance companies for care if the veteran seeking care has health insurance. If a VA claim is denied and the veteran wants to protest this decision, there are certain procedures which must be followed. Local VA facilities can assist veterans in filling out the necessary paperwork to protest a claim denial, and VA telephone representatives can offer some assistance as well. Another method to protest a claims denial is through the VA website. A rejected claim can be resubmitted using the Inquiry Routing and Information System, also referred to as IRIS. When claims are rejected through the VA they are assigned a rejection number that is designed to explain the reason for the claims denial. By locating the rejection number on a claims denial you may be able to save time because you will already know the reason for denial prior to calling or going online for assistance. The Veteran's Administration also handles The Civilian Health and Medical Program of the Department of Veterans Affairs (CHAMPVA). This is a medical coverage program available to spouses and dependents of certain veterans. This program is specifically designed for people not eligible for the military TriCare program. Claims information for CHAMPVA can be found on the VA website. People covered by CHAMPVA can submit claims rejection rebuttals online, similarly to veterans covered under the VA health program. Health care professionals providing care to eligible veterans can request claims information online. There are several online publications which can be downloaded by providers and then either mailed or faxed to the VA for approval and payment. VA Form SF-3881 allows providers to request payment for their services via electronic payment. More information regarding this form of payment can be found on the Health Administration Center's form website. If a veteran seeks care outside the spectrum of VA coverage the claim will be denied if previous approval was not obtained. Veterans who require care beyond what the VA can offer can apply for the Fee Program. This is not an easy program to qualify for, and it requires preapproval ''prior'' to seeking out the additional care. Questions regarding claims under the Fee Program should be addressed to the assigned VA counselor. In some instances, claims will be paid even though authorization was not received by the VA beforehand. For example, when a veteran visits an emergency room for assistance with a service-related injury, the claim may be honored. Veterans should never assume that a particular medical service is automatically covered under VA benefits unless they have already confirmed it with the VA. The VA attempts to provide the best medical care possible with the resources available, but it is not feasible that every single veteran be awarded carte blanche for every medical procedure desired by the veteran. Health issues resulting from a service-related injury or illness, however, are usually covered adequately by the VA.